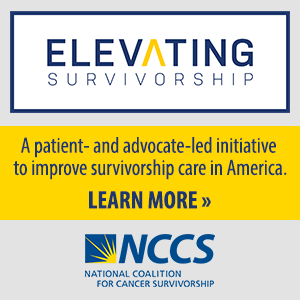 The National Coalition for Cancer Survivorship (NCCS), notes with sadness the passing of Phyllis Torda, a fierce advocate for patient-centered health care for more than 25 years. We at NCCS first came to know Phyllis when she was with Families USA as their Director of their Health and Social policies. Subsequently, we were very fortunate to work with her throughout her tenure with the National Committee on Quality Assurance (NCQA) where she held positions as Vice President for Product Development and most recently, as their Vice President of the Quality Solutions Group. NCCS regards the time we spent working with Phyllis as most valuable to our schooling in the realm of quality measurement and the importance of that science when looking at cancer measures specifically. When diagnosed with breast cancer, Phyllis became an advocate for herself as she had done for so many others. She often spoke and wrote about matters that called for physicians to adhere to performance improvement measures and standards. Those of us at NCCS who are privileged to sit at tables with public and private payors are indebted to Phyllis for how valuable her coaching was and continues to be when we need to ask questions that will elicit the best possible outcomes for cancer patients regarding the design of health plan benefits. Phyllis was a little person whose stature belied her tenacity to ensure the voice of the patient was always in the room when working with measures development that would be most meaningful for patients. We are grateful to have had her wise counsel and support over many years, and we will miss her.